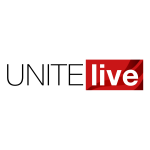 Today, Unite members will be coming together in central London from across the country to join thousands of trade unionists and anti-racist campaigners to stand up to the rise of the far right and send a clear message that there is no place in our society for racism and religious intolerance. They will bring their families and march in celebration of our shared values of solidarity, equality and tolerance. Because our cultural diversity makes our communities richer. I applaud all the anti-racism organisations, trade unions and others who have worked so hard to send a loud and clear message that we stand for unity over division. Right across Europe we are seeing a worrying rise in the extreme and far right. We’ve seen it here, in the Democratic Football Lads Alliance, which claims to be against extremism, but is trying to use our beautiful game to spread the evil filth of Islamophobia. After their recent demonstrations there can be no doubting that the DFLA is a racist, far-right group, part of a well-financed, global alt-right movement seeking to undermine our democracy and bring hate and violence to our communities. Who can forget the image of their thugs surrounding the bus driven by that brave and dignified Muslim woman – who I’m proud to count among Unite’s membership. And now, grotesquely, UKIP is lurching further right with a leader openly supporting the DFLA and sharing platforms with other extreme far right politicians. At a time of eight years of failed Tory austerity, the longest pay squeeze for decades, increasingly insecure work, lack of affordable housing and our NHS stretched to breaking point, these groups are diverting working class anger away from the real issues and twisting people’s pride in their country. The far right has no answers other than blaming minorities and diverting anger to spread hatred and division. But trade unions do have answers. We recognise that it’s years of austerity and public sector cuts, imposed by a Tory government that has no interest in working class communities or in protecting our manufacturing industries, that has caused many people to feel they’ve been forgotten. That’s why we argue for regulation of the labour market, to provide safeguards for workers, communities and industries, by ending the exploitation of migrant workers that’s seen a race to the bottom in our once proud industrial heartlands. At the core of this must be the reassertion of collective bargaining and trade union strength, so we welcome Labour’s commitment to restoring sectoral collective bargaining, ending the ability of greedy bosses to exploit cheap labour. And why we also welcome Labour’s pledge to providing proper investment in our NHS and other public services, and to building the homes communities so desperately need. It’s because we have these answers that, as a labour movement, we are stepping up to the challenge of the rise of the far right. Unite members stand against racism. Our conference earlier this year resolved that our union would campaign to encourage all football clubs, fans and supporters’ clubs to take a stance against the DFLA and others and redouble our work with anti-racist groups to build strong local organisations capable of opposing racist mobilisations in our communities. We’ve got a campaign team working on, among other things, an education programme to take to our shop stewards and workplaces to counter the far right’s lies. Because we have to do more than protest on our streets, important as rallies like today’s are. We have to kick racism and the far right’s narrative out of our communities and out of our workplaces. We must reach into working class communities to expose the lies and hate of extremist groups, and give a voice to people who feel politicians don’t listen to them or speak their language. Because unless we engage with working class communities on these issues, then the far right will continue to give expression to people’s fears and anger. The trade union movement needs to tackle this head on and marching today is one way, but not the only way, that we are part of the opposition to the new far-right street movement. We stand for unity over division, hope over hate. Let’s show that we are the many, and those that seek to divide us are the few. This comment first appeared in the Morning Star on Saturday, November 17.